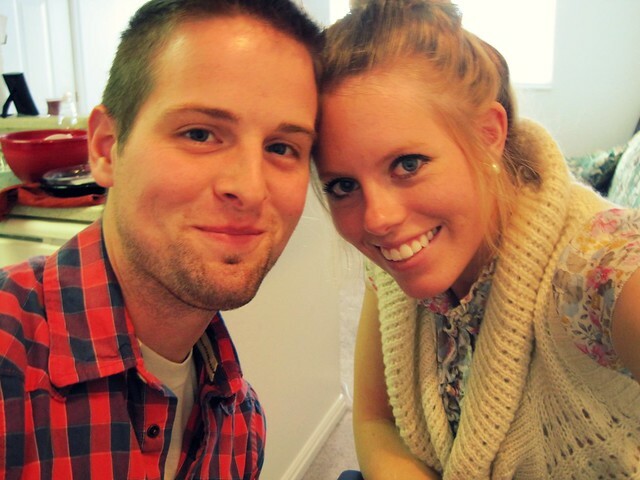 Tim and I spent our first Thanksgiving together. Do you like our matching cuts? 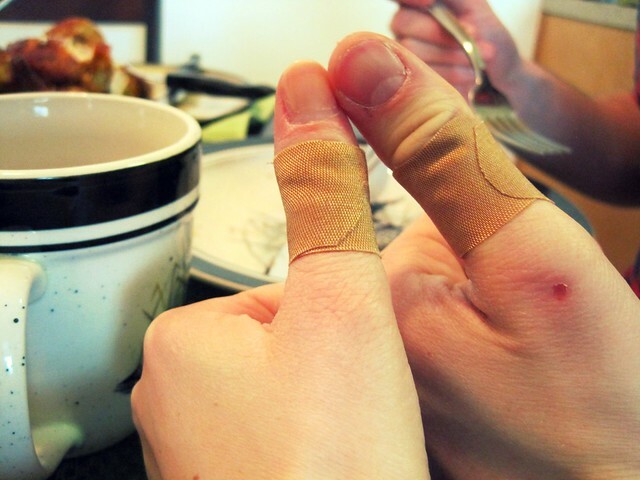 Thanks to our amazing Ninja which has really sharp blades we got matching cuts. 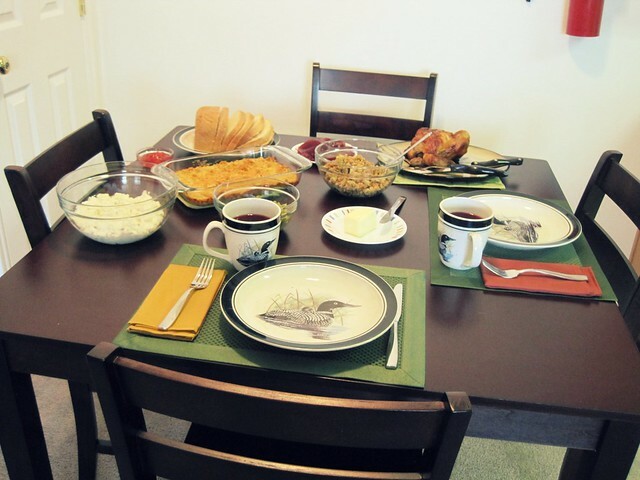 It was a simple meal of just the two of us, consisting of Rosary chicken, stuffing, cheese casserole, mashed potatoes (which we used our Ninja to mash), beans and homemade bread. So delish! We bought a turkey but didn't get it thawed in time, plus we don't have anything big enough to cook it in yet. The chicken was amazing though. We were able to continue on with a tradition that is in my family. My family always goes and sees a movie on Thanksgiving, so we chose Breaking Dawn. It was good, but a little too graphic for me. I'm excited for next year when we can create some new traditions for our little family.